The Basil Ikon Hotel is located near the Bhuvaneshwari Temple. Serving the guests with superior services and gracious hospitality, The Basil Ikon Hotel is one amongst the 3 star luxury hotels of Bangalore. The hotel bestows modern comforts and relaxing atmosphere with a sense of calmness. The convenient location of the hotel offers an easy access to the major business and IT hub of the city. Its splendidly designed rooms are planned with utmost care and are filled up with all modern conveniences required for a pleasant stay. The professional staff of the hotel forwards unmatched services that exceed beyond the expectations of the visitors. It is also geared up with fully-equipped business center, meeting room and gymnasium to comply with the needs of the discerning travelers. 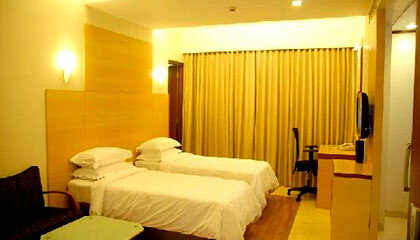 To sum up, The Basil Ikon Hotel is simply a great place that assures you a pleasurable experience in the Garden City. 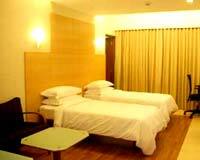 The hotel is comprised of an array of well-furnished rooms, classified into Executive Rooms and Superior Rooms. 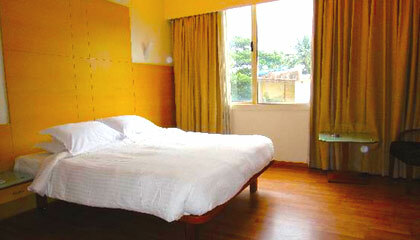 All the rooms are equipped with modern facilities and services. The Restaurant: A restaurant serving various mouth-watering dishes.